My bows are made carefully by hand using the finest materials and in close collaboration with musicians and customers. A whole range of materials may be used and these are selected by the customer. For the stick, for example, pernambuco, snakewood and ironwood are available, and for the frog and button I can offer mammoth ivory or horn in addition to the usual materials. 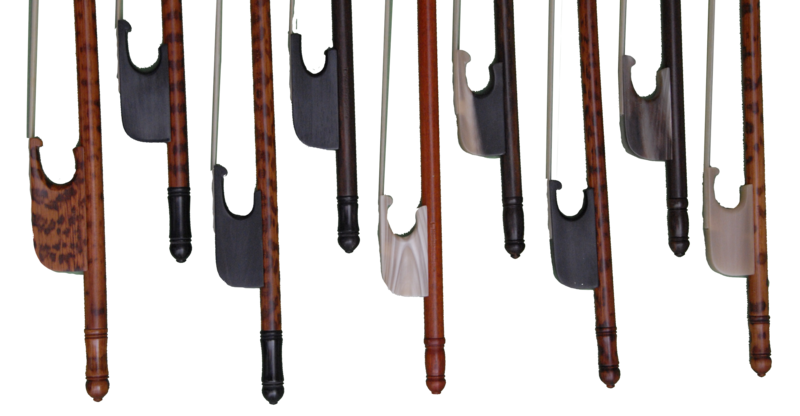 In this way, each bow is a unique piece, created according to the wishes of the client.